Drama enthusiasts are encouraged to come together for the latest meeting of the Grand Theatre’s Play Reading Group. Jennifer Smethurst, a qualified speech and drama tutor, leads the group and raises topics for discussion at the group, which meets on the second Saturday of the month, at 1.30pm. 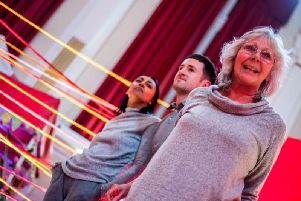 A spokesman said: “Our Grand Theatre Play Reading Group is an excellent way to get involved with the theatre, meet new people and while away your time reading and discussing plays. “Perfect for anyone who relishes reading and engaging in discussion about great titles from some of the world’s leading play writes. “No experience of play reading is needed and you don’t even have to join in if you don’t wish. “This is an informal and friendly group of people sharing like-minded interests. - To book, sessions cost £3, visit www.blackpoolgrand.co.uk.